Steve Barkley, code enforcement officer for the city of Durango, lets John McGuire know in September 2015 that he is violating a city law on panhandling in the median of Dominguez Drive and U.S. Highway 550/160. Fox News on Wednesday portrayed Durango as a picturesque mountain town – once vibrant and upscale, “dotted with luxury hotels” – but recently “overrun by panhandlers,” thanks, in part, to legalized marijuana. The story, headlined “Legalized marijuana turns Colorado resort town into homeless magnet,” was the most-read U.S. story Wednesday on www.FoxNews.com. In an interview Wednesday, Walsworth took exception with Kolb and his story, saying the reporter barely identified himself, omitted comments that didn’t fit his angle and based the article on a few opinions. The result was a superficial glance at an issue in a community the writer was passing through, those who talked to him said. “I question the credibility of the reporter,” Walsworth said. Fox News did not respond to a request for comment. Legalized marijuana isn’t the primary cause for a rise in panhandling, Walsworth said; rather, it’s the result of people giving money to panhandlers and the inability to enforce loitering laws as a result of successful lawsuits filed by the American Civil Liberties Union. Walsworth said he shared these perspectives with the Fox News reporter, but the comments were omitted from the article. What’s more, the reporter barely identified himself as a reporter, Walsworth said. He left a voicemail that may have included “something Fox,” but he really presented himself as a concerned citizen who was in town for the soccer shootout and wanted to learn more about the panhandling issue, he said. “(He) certainly never said I am doing a story for Fox News, which just calls into question his credibility,” Walsworth said. Caleb Preston, a gift shop manager, also took issue with the article. Preston was cited as saying homelessness and panhandling has grown out of hand since the legalization of marijuana. Preston said he didn’t say those exact words, and his comments centered around the idea that panhandling has risen to the forefront of public discourse; not that the problem has become worse. Afzal, Durango’s new police chief, largely avoided making any sweeping statements, saying he has been on the job for only a month and is assessing the situation. In an interview Thursday, Afzal said every community has struggles, and multiple circumstances play into those problems, and they require varied solutions. The Fox reporter seemed to have a preconceived narrative that legalized marijuana caused a rise in panhandling – a conclusion Afzal can’t backup, he said. Walsworth said he understands why people connect the rise in panhandling with the legalization of marijuana; they both happened about the same time. But they’re overlooking the more direct cause: It was about the same time law enforcement stopped enforcing loitering laws, he said. Cities like Grand Junction, Salt Lake City and Albuquerque also have problems with panhandling, he said, but they don’t have legalized marijuana. And Cortez, 50 miles west of Durango, has legalized marijuana but not a panhandling problem, he said. Durango city officials and downtown business leaders are working to address panhandling, he said, but it’s a nuanced problem that is going to require multiple solutions. It’s unfortunate it was overly simplified and Durango was portrayed as a “homeless magnet” shortly before the summer tourism season, Walsworth said. 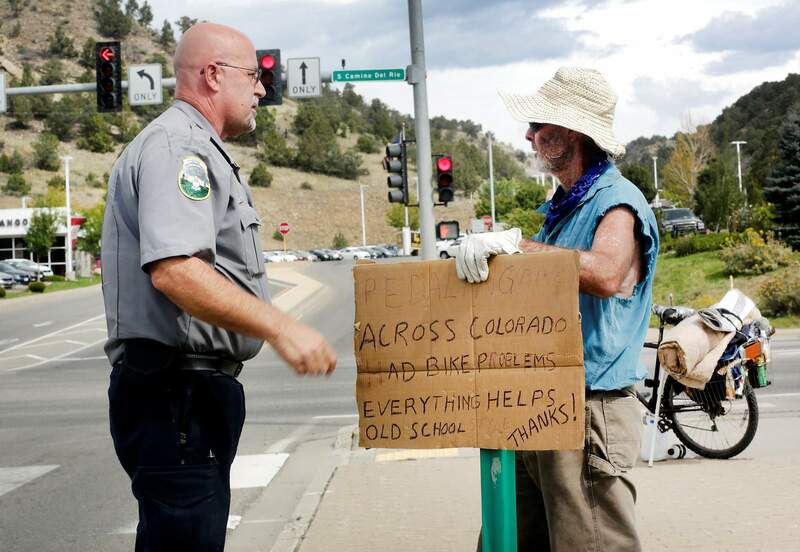 Has legalized marijuana contributed to a rise in panhandling in Durango?